As promised, Amanda Quinn is back on the blog again to follow up her piece on flash fiction, with one on short stories. Thanks very much Amanda. Thanks for inviting me back, Hazel. A few years ago I was at a writing workshop where the tutor asked us to name our favourite short story. Interestingly, we all found this difficult. So, that’s my first tip – read more short stories. 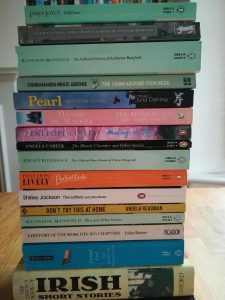 I’ve listed some of my favourite stories and writers at the end of this post and it would be great to hear other recommendations from your readers. So, what can a short story offer you compared to flash fiction? The obvious answer is more words. Just how many is debatable, but, as a rough guide, most fall somewhere between 1000 to 7,500. Because of that, there’s more space to breathe in a short story. But not much. All short fiction is usually read in one sitting and tends to concentrate on a single issue or theme. To help you focus, see if you can summarise what your story is about in one sentence. Then make sure everything you write contributes to this – you could stick it to your screen/wall/phone as you work if you need a visible reminder. 2. What happens to set the story in motion? 3. What changes by the end of the story? Also, think carefully about how you want to structure your story. Make a list of as many different ways to tell it as you can think of. Could you start at the end? Use only text messages? Or two narrators? In F. Scott Fitzgerald’s The Curious Case of Benjamin Button the main character lives his life in reverse and Notes On A Love Story1 by Philip Langeskov (first published in Five Dials Issue No.9) is mainly written in footnotes. This doesn’t mean you should feel obliged to be eccentric – sometimes just changing the tense or point of view can transform a story. When I read short story collections or magazines I’m highly likely to skip those which don’t grab my attention in the first sentence. Again, making a list of potential opening lines can be useful. Or write your story and delete the first paragraph to see if it still works. I find it usually does and it’s a good way to make sure you start at a more immediate and gripping point. And don’t forget to look at how other writers have begun their stories. I love the start of Angela Readman’s story Don’t Try This at Home: ‘I cut my boyfriend in half; it was what we both wanted.’ Finally, remember you don’t have to write your first line first. It’s sometimes much easier to come back to it once you’ve written your story. When it comes to finishing your story, it’s worth noting that most short stories don’t end ‘neatly’. Instead, think about how to provide a more subtle or ambivalent ending to give your reader space to think about what will happen next and what the story means – a good example is the haunting final paragraph of James Joyce’s The Dead. In any short story, there has to be some sort of development by the end though. So think how your ending will satisfy your reader that something – however small – has changed. A final thing to think about – and one which deserves another blog post to fully do it justice – is who you’re writing your short story for. With flash fiction I usually write the story first then consider where to place it. When I write a short story I’m more likely to first give some thought to the market. Am I aiming to produce something with heart and emotion (and no shocking content) to suit a women’s magazine or something original to stand out amongst competition entries? To help with this, start with the publication you’re targeting. Read last year’s competition winners or analyse the stories (and other content) of a magazine. What kind of story would their readers most enjoy? There’s lots of information available on how to write for women’s magazines and I’ve listed some books and websites below. Also, a reminder to read the submission guidelines and FOLLOW THEM (one of my most embarrassing writing moments was submitting a short story written in the third person to a competition which specifically requested stories written in the first person). 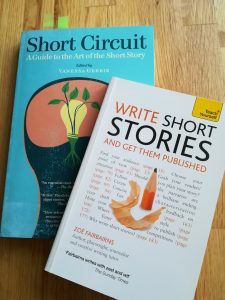 Short Circuit – A Guide to the Art of the Short Story. Edited by Vanessa Gebbie. Salt, 2009. Write Short Stories and get them Published: Teach Yourself by Zoe Fairbairns. Hodder Education, 2011. Writing Short Stories (Writers’ and Artists’ Companions) by Courttia Newland and Tania Hershman. Bloomsbury, 2014. How To Write And Sell Fiction To Magazines by Douglas McPherson. Kindle edition, 2016. How To Write And Sell Short Stories by Della Galton. Accent Press, 2008. The Redemption of Galen Pike by Carys Davies. Salt Publishing, 2014. Reality, Reality by Jackie Kay. Picador, 2013. The Thing Around Your Neck by Chimamanda Ngozi Adichie. Fourth Estate, 2017. The American Lover by Rose Tremain. Vintage, 2015. 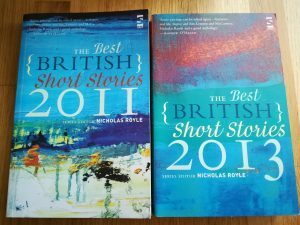 Best British Short Stories (published annually). Edited by Nicholas Royle. Salt Publishing. What Are You Like by Shelley Day. Red Squirrel Press, 2018. Don’t Try This at Home by Angela Readman. And Other Stories, 2015. 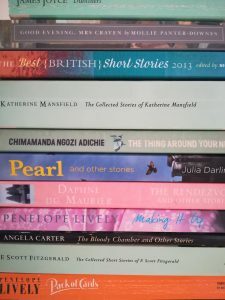 I also love the short stories of Penelope Lively, Daphne Du Maurier, Mollie Painter Downes, Lorrie Moore, Katherine Mansfield, and Alice Monroe. On the blog today, I’m delighted to have Amanda Quinn, a North East based freelance writer and tutor. I met Amanda when we both creating our new websites as part of New Writing North’s Digi Tech programme. 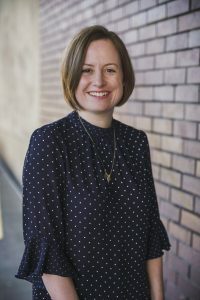 Amanda specialises in writing flash fiction, short stories and poetry and has had her work published by Shooter Literary Magazine, Open Pen Magazine, Ellipsis Zine, Butcher’s Dog, Papaya Press, and Spelk Fiction among others. I’m gong to hand over to Amanda in a moment to talk about her work, but wanted to say that she has also, kindly, recommended a range of writing resources that she has found particularly useful. The ones connected with flash fiction are listed at the end of this piece and I will be adding them to my Resources for Writers’ pages on this website. I’ll be posting Amanda’s recommendations for short story writers in the next blog post. Thanks, Hazel. I’ve been wondering why it is I’m particularly drawn to writing flash fiction. To begin with it was partly a practical decision. I started writing after my son was born so producing a paragraph felt manageable amidst all the playgroups, soft play and pram pushing. It also enabled me to get published at an early stage which gave me the confidence to keep writing. Having said that, I think I would have always been drawn to the form. I’m a naturally concise writer and enjoy seeing how little I can put on the page while still making sense. I’m interested in the gaps – what isn’t written or said – and how the reader has to bring their own assumptions and interpretations to produce a final story. Experiment with different ways of storytelling. When you have an idea write a list of 20 different ways of telling it – be bold and think about how to make an impact. See how little you can get away with. Edit ruthlessly and read back to see if it still makes sense. You can double check by getting someone to read it and comment only on whether they understood the meaning. Read flash fiction. There’s also an active and supportive flash fiction writing community online: follow writers on Twitter and get involved with events such as National Flash Fiction Day or the Flash Fiction Festival. There are a whole load of events, displays, projects and entertainments in Newcastle/Gateshead as part of the Great Exhibition of the North and I’ve tried to get to as many of them as I can. It’s been an exhilarating, entertaining and bold exploration of what the North means, what it has achieved and how it sees itself. And I’ve learned a hell of a lot, without feeling that I’ve been lectured to. 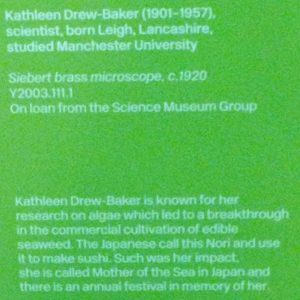 One particularly jaw-dropping piece of information reached my brain via a little green sign next to a brass microscope (on loan from the Science Museum Group) at the Great North Museum in Newcastle.